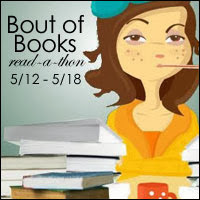 I signed up to Bout of Books 10! I participated in the last one and I had lots of fun. Here are my goals and I'll update here as well. I will be reading all week. I'm more the "que sera sera" type tat the moment. Good luck with the goals. I tend to micromanage mine.